MEMPHIS, TN —The YWCA Greater Memphis will have its 20th Annual Benefit Luncheon, March 8, 2017 at the elegant Holiday Inn – University of Memphis, 3700 Central Avenue, in East Memphis. Each year over 425 diverse attendees, who care passionately about women and children, attend the luncheon. Proceeds benefit their domestic violence shelter for women and children in Memphis. The YWCA Greater Memphis is proud to announce the guest speaker will be Grammy nominated singer Michel’le from the hit TV show “R&B Divas: LA.” The multi-talented singer/songwriter made headlines for revealing years of domestic abuse at the hands of two music moguls in the Lifetime TV biopic, “Surviving Compton: Dre, Suge and Michel’le.” The hit movie candidly revealed how the talented singer’s career nearly ended after years of substance abuse, financial struggles and physical assaults. She’s not only a survivor but she’s using her celebrity platform to teach and speak out against domestic violence. The R &B Diva star spoke to the Tribune recently about her upcoming Memphis appearance and career plans that will soon be taking place in her life. TRIBUNE: I know everyone in Memphis at the luncheon is looking forward to seeing you. 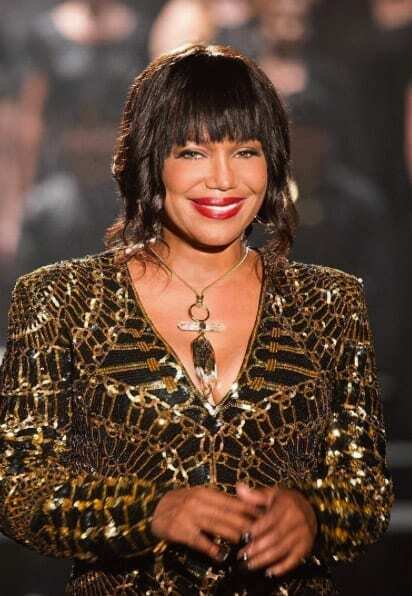 MICHEL’LE: Yeah, I’m going to knock it out the box! (she laughs) I’m a nineties baby, so everybody sit down, you know. I asked my daughter recently, ‘what does ‘take several seats’ mean? She had to tell me that. I didn’t know that one” (she laughs).